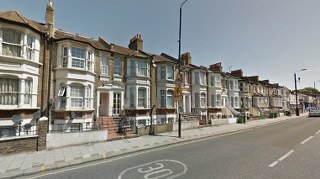 Moving to Plumstead, SE18 | Quality Services - Call Us Today! With over 10 years in the removals trade, we know much when it comes to the whole relocation process. You have panic attacks at random times as well as your head heating you and you think you’re about to lose it. Don’t worry. We know. How? We have been through this ourselves, hence we set up Moving Service to be able to help you with everything during your house move. Our removals team in London is all qualified, accredited and fully licenced to be able to assist you with any type of furniture removal, student removals as well as commercial removals, that you may have. Please contact us on 020 8746 4402 to discover more about how we are able to help you! It is an area of South East London and is based in the London Borough of Greenwich with the postcode SE18 and is home to some of the largest Asian and Afro-Caribbean communities. Located east of Woolwich and south of Thamesmead, it is the location for a huge bus garage built on previous industrial land and a Church of England Church, St Nicholas. The closest railway station is the Plumstead Railway station, located in the North West part of the town, based on the Northern Kent line. When the cross rail line is built in the area, the rail line will drop below water and emerge again at Plumstead sidings. The buses that serve this area are very frequent going into the neighbouring areas of Woolwich, Abbey Wood, Thamesmead, Blackheath, Greenwich, Erith, Belvedere, Welling and Charlton, all served by Transport For London. This area has a few notable schools such as Plumstead Manor and Timbercroft Primary. It has had rapid housing growth but some areas still remain rural to this day. As a removal company, we know what it feels like when you’re moving a house around Plumstead, SE18. Sometimes you don’t know what it is and you’re left wondering how in the world you are going to cope with everything going around you. That is where we come in. Our van hire experts in Plumstead are there to help you load and unload all the items that you are moving to the next house, ensuring that nothing is lost, broken, shattered or damaged when it comes to your fragile goods. There are certain ways that you need to be able to pack your items and our movers are able to even help you with that. We do offer online instant quotations and would be happy that you paid a visit to our site, however to find out more about our services at Moving Service, please do give us a call on 020 8746 4402. We know that it isn’t always simple to get everything in order, however from our side, we do advise you to have a moving checklist as well as be under the reassurance that we are able to accept quick bookings, sometimes within 48 hours. We would be delighted to help you start your new life, in your new home!